I’m Stuart Gallacher, Principal Project Manager at the Defence Infrastructure Organisation (DIO). Just over a year ago I wrote about the development of Beacon Barracks in Stafford and associated family accommodation. Work on this project has progressed so well that we have now held a ceremony to welcome the Barracks’ first new occupants. The difference is obvious in these photographs. A total of 346 new family houses have been built by Lovell on behalf of DIO in preparation for the arrival of 16 Signal Regiment and 1 Armoured Division Signal Regiment under the Army’s BORONA Programme. BORONA is the name given to MOD’s programme to close Rhine Garrison and Münster Station in Germany and return soldiers currently based there to the UK. 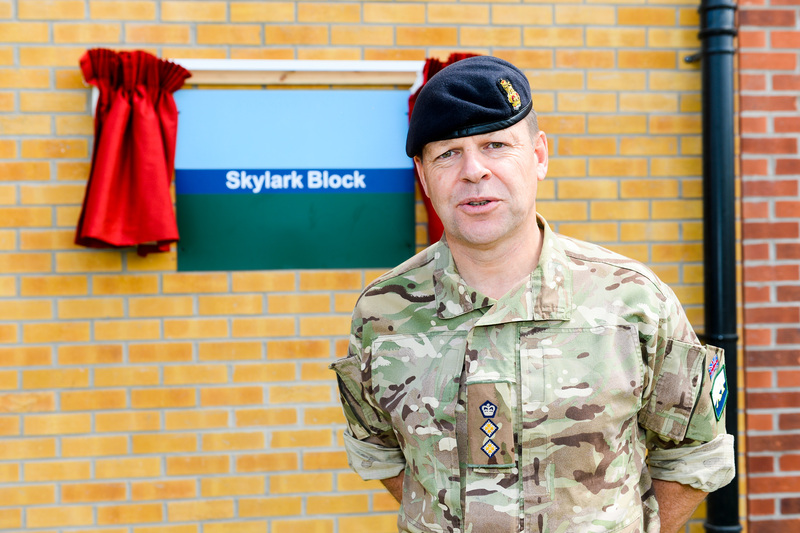 Already home to 22 Signal Regiment, adding these two new regiments will make Beacon Barracks a major centre for the Royal Signals. My team, Lovell and a range of other partners have performed splendidly, completing the houses and supporting infrastructure in just over a year. 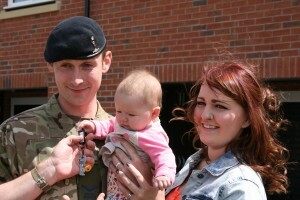 Lance Corporal Richard Neely of 16 Signal Regiment was among the first of the arriving soldiers to be presented with the keys to his new house by Col Richard Maybery QGM, Deputy Commander Headquarters 11 Signal and West Midlands Brigade. Meanwhile, on Beacon Barracks Main Site, Lendlease has built six new living blocks to provide modern, purpose-built accommodation for single Service personnel. 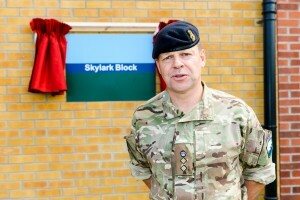 Col Maybery unveiled a commemorative plaque to officially name one of the completed blocks ‘Skylark’ in a ceremony attended by Lt Col Al Fawcett, Commander MOD Stafford Station and Commanding Officer 22 Signal Regiment, and Lt Col Phil Muir MBE, Commanding Officer 1 Signal Regiment. 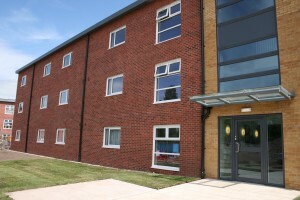 This work is part of a £150 million redevelopment programme which involves both new build and the refurbishment of eight existing buildings to provide both housing and facilities including workshops, a combined Mess, offices, garages, catering outlets, shops, leisure facilities and a medical-dental centre. 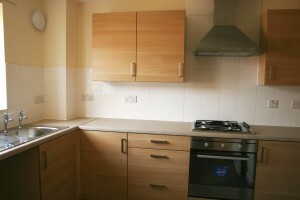 Good quality accommodation such as this is a great example of MOD’s investment in our Service personnel. 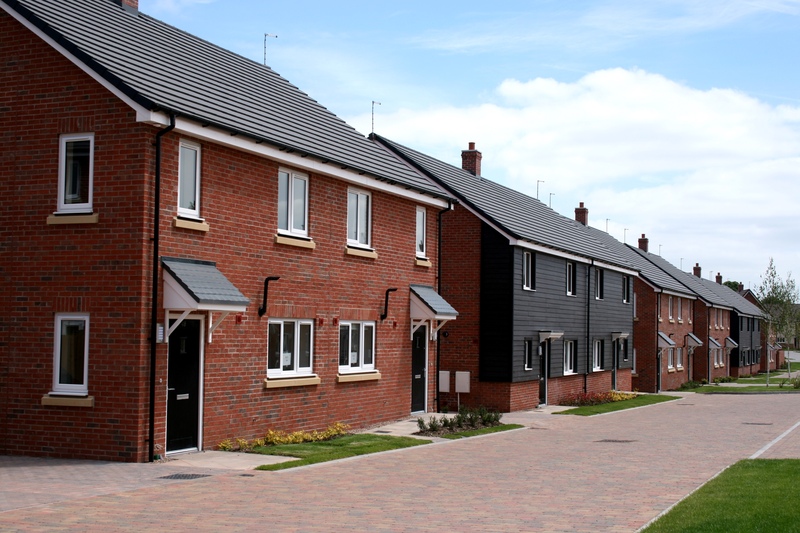 As the project manager for this work I am extremely pleased to see both the family homes and the single living blocks delivered to such a high standard – and in such a short time. It may be a cliché, but on a project as complex as this, there isn’t a typical day. It’s exciting to be working on such a varied project, working alongside a range of teams from different organisations. As given the huge impact on the soldiers and their families who are using the facilities, it’s important to get it right. 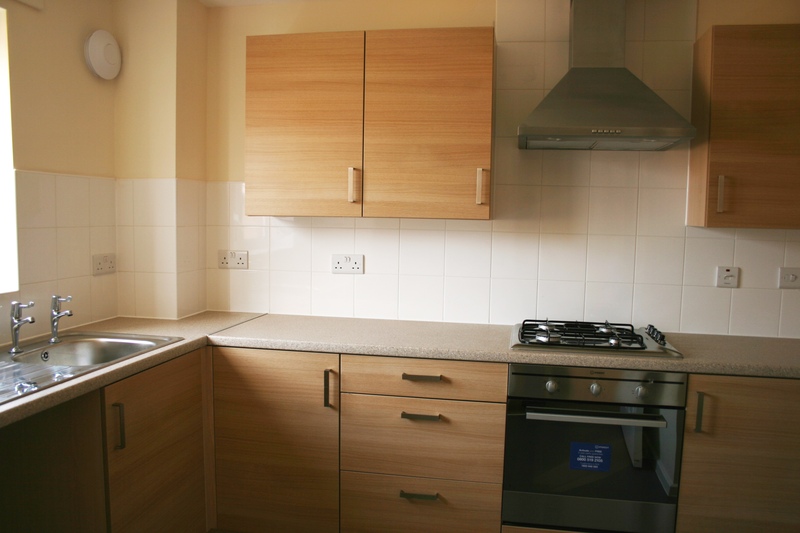 Not only that, Beacon Barracks is already a fully operational site! So every day brings something new. I’m looking forward to welcoming more soldiers and their families to Stafford over the coming months. Great to see this having supported DIO in earlier phases of BORONA. You must be very happy with the way the housing and main site have gone. Congratulations to all.